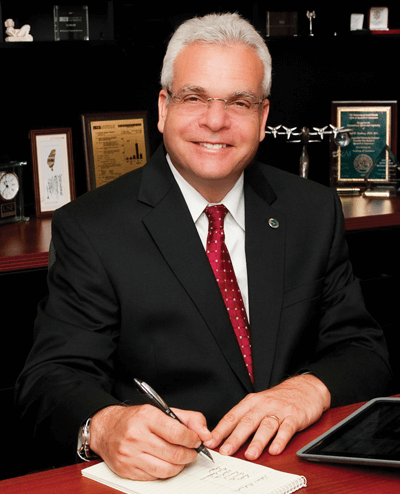 Dr. Paul R. Sanberg is Senior Vice President for Research, Innovation & Knowledge Enterprise, Distinguished University Professor, and Executive Director of the Center of Excellence for Aging and Brain Repair at the University of South Florida, and Founder and President of the National Academy of Inventors. He trained at York University, the University of British Columbia, the Australian National University and Johns Hopkins University School of Medicine, among others. He has held academic positions at Ohio University, the University of Cincinnati, and Brown University. He holds 160 U.S. and foreign patents. His work has been instrumental in translating new pharmaceutical and cellular therapeutics to clinical trials and commercialization for Tourette syndrome, stroke, ALS, Alzheimer’s, Huntington’s, and Parkinson’s disease and he has significant biotech and pharmaceutical industry experience in these areas. He is the co-founder of several biotechnology companies. He is the author of more than 660 scientific publications and is considered a highly cited scientist, with over 30,864 citations to his published work. He serves on editorial boards for more than 30 scientific journals and has received numerous scientific awards. He is a Fellow of the American Association for Advancement of Science (AAAS), American Institute for Medical and Biological Engineering, National Academy of Inventors, and Royal Societies of Chemistry, Public Health and Medicine, as well as an AAAS-Lemelson Invention Ambassador. He was named the 2015 Medalist of the Florida Academy of Sciences, inducted into the 2015 class of the Florida Inventors Hall of Fame, and the 2015 recipient of the Australian National University Alumnus of the Year award. He also serves on the evaluation committee of the National Medal of Technology and Innovation.